Traxxas athlete and motocross legend, Brian “The General” Deegan may be an expert on two wheels, but he has earned his stripes in short course racing and rally cars. 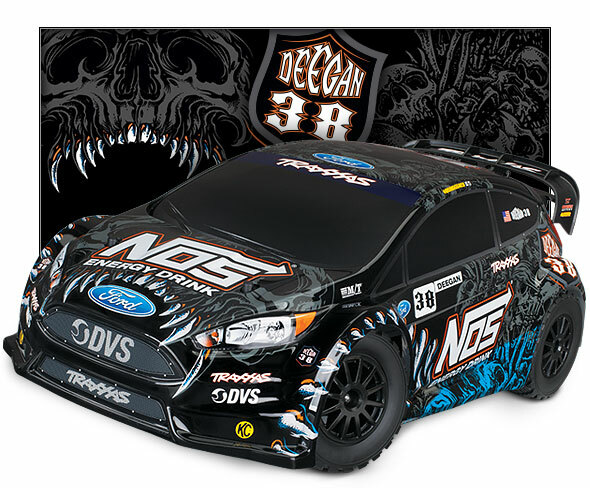 The Traxxas NOS Deegan 38 Rally captures the look and spirit of Brian’s Ford Fiesta ST with this authentic replica body. The low, aggressive stance is amplified by the wide fender flares and replica rally wheels and tires. Brian’s NOS livery is faithfully executed in stunning detail on the fully painted heavy-duty body. The decals come pre-applied to get you driving in minutes out of the box. 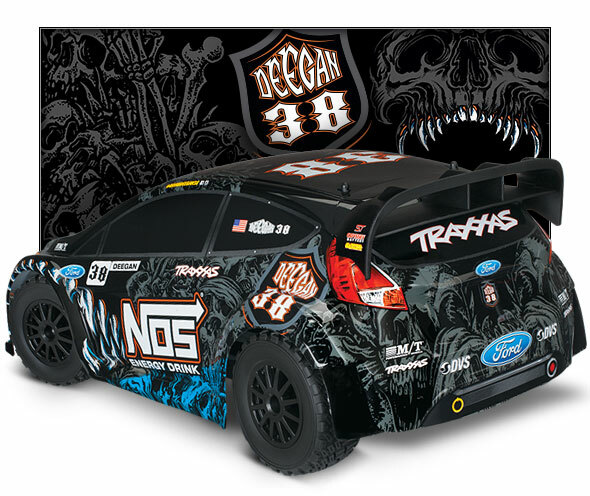 The Traxxas NOS Deegan 38 Rally rolls out of the box ready for driving fun with factory-adjusted TQ 2.4GHz radio, XL-5 power system, Power Cell 7-cell NiMH battery, and detailed instructions. Traxxas backs the Rally and all of our products with top-notch support that is second to none. A staff of skilled representatives is on hand to answer your questions via phone, website, or e-mail. Unmatched parts support keeps your Rally running strong with parts and support from thousands of hobby dealers worldwide. Your investment is also protected by the Traxxas Lifetime Electronics Warranty. 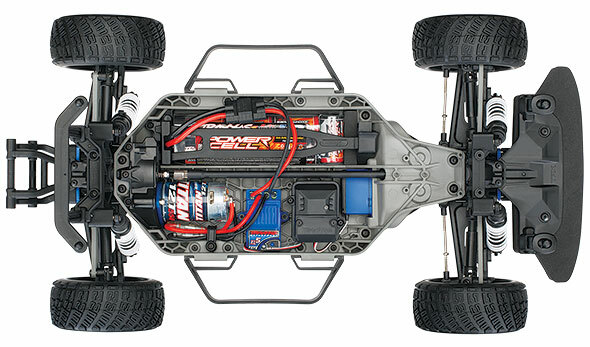 Traxxas goes the extra mile to ensure that your R/C experience is easy and fun--and fast!